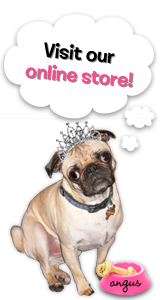 It is time for The Rubber Cafe's new Creative Cafe Kit. This month's kit is called Monster Bash. 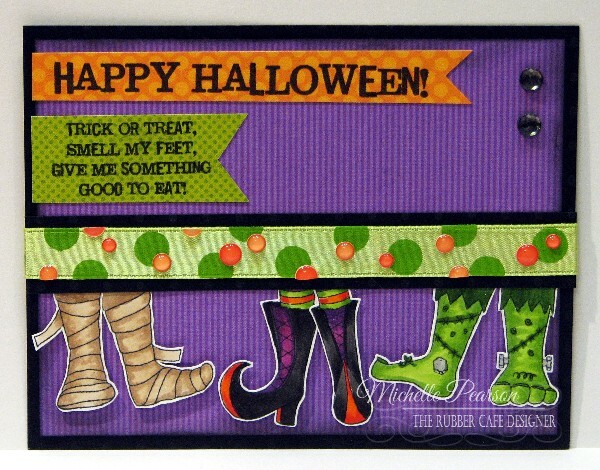 I used the Spooky Feet stamp set for this card as well as the enamel dots, ribbon and gems included in this kit. The purple card base is 5 1/4 x 4 inches, and I added some black ink with a sponge around the edges to distress it a bit. It is layered on a 5 1/2 x 4 1/4 inch black cardstock panel. I stamped my sentiments on various papers from the included paper pad and cut banner ends on them before attaching them to the card. Orange banner: 4 3/8 x 1/2 inch. Green banner: 2 1/8 x 7/8 inches. 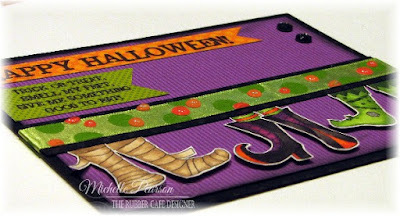 TIP: Check out how I added dimension to the ribbon with the enamel dots! I simply scattered them around on the ribbon, placing some on the various dots and even trimming some of them in half so they appear to be part of the ribbon. I love this look and will be keeping it mind for future creations! The feet are colored with Copic markers and fussy cut. 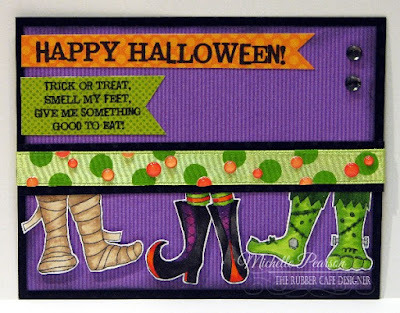 I tucked the various feet under the ribbon strip that has been attached to black cardstock measuring 3/4 x 5 1/2 inches. I popped the toes up with foam tape and this layout is fun because you can vary the feet positions a bit from the way they stamp, I tipped them a bit for a more casual feel! My final touch was some gems up in the upper right corner of the card.